I was loading up the standard news apps for my iPad, like USA Today, NY Times and CNN. Then I discovered a thread on MacRumors were they were discussing Flipboard, Zite and a few others. I loaded both and I love Flipboard. 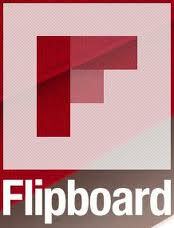 Flipboard is 100% what you want, you decide what news feeds to display in a magazine like format. I selected my popular sites like Engadget, TV Guide, Hollywood Reporter, New Scientist, Facebook, Car & Driver and many others. The best part is the user interface, it is just like iOS, you hold down a news feed for a couple of seconds and drag it around to a different spot or page. I can’t list all the feeds here but here are a few I recognized - Twitter, Bloomberg, Fortune, Forbes, Wired, Science Magazine, TechCrunch, Gizmodo, Popular Science, CNET, Roger Ebert and many other topics like food, cooking, dining, travel and shopping. The list is very impressive. Articles can be emailed or Tweeted. There are also Flipboard news feeds which are articles curated by their staff. About the only negative thing I can see with Flipboard is they don’t allow more than two pages of content for a total of 21 feeds. Granted that is a lot, but having another page would be nice. But the best part about Flipboard is my standard, it’s FREE! Sometimes we geeks take things for granted. After my great experience with the Atomic Browser a few friends asked how I got the Atomic Browser app on the bottom menu bar. I had that you have to be kidding look. I didn’t need to refer to any iPad docs because I have owned an iPhone since day one. But when I opened my iPad 2 box to see what they give you I was somewhat surprised to find no manual. As simple as the iPad is, Apple should provide some basic manual. Anyways here is a basic video I made up to show how to move apps around, create folders and how to change the menu app bar. I also discussed those little white dots, another “what’s that do” from my buddies! Final thoughts, once your done editing your desktop press the home button which will stop the apps from wiggling. I forgot to mention that in the video!! I used to be a Nero user. Nero went bloatware a few years ago. The program loads so much junk on your computer you will never use. Then came along ImgBurn. They should have called LeanBurn, this utility is all most users will ever need. It’s touted as lightweight and they are correct. You can burn ISO’s, DVD, HD-DVD and Blu-ray. To date I have never made a coaster with ImgBurn. It’s very reliable. It supports drag and drop, so we all know I am going to use Total Commander to get the files to ImgBurn. Total Commander is the best file manager for Windows. You can read my blog about it here. 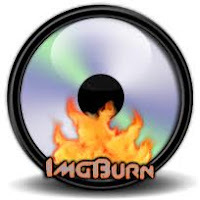 ImgBurn supports all the usual versions of Windows including Win 7 and 64bit versions. My only warning is the crazy music it plays after a successful burn, it might catch you off guard if you have your volume a bit too high. You can change or turn off the sound effects in the options menu. NAS drives are becoming more common in households these days. Many of us have gathered a library of digital photos, videos, music and movies that take up terabytes of disk storage. The issues of backups and sharing make dealing with local storage on your PC difficult. The most amazing feature of a NAS drive is you can loss one hard drive and all of your data is intact. They call this RAID. I use RAID 5 for home storage, it’s not the best, but it’s the cheapest. High end database servers would use RAID 10 but for home that’s a bit of an overkill for many. The TheCus 4100Pro is a great value. You get 4 SATA drive bays, a gorgeous blue backlit LCD display and built in web management so you don’t need any special software to use this NAS. It uses an embedded Linux system to provide services like Samba, FTP, NFS, AFP and Bonjour. The best value is to buy this NAS drive with no hard drives and provide your own. Some NAS systems don’t allow this (Buffalo for example) but the TheCus is known for BYOD (Bring your own disks). I used 2TB hard drives from Seagate at $70 each. The LCD display is great if something goes wrong, at least you get some idea of why it may not boot. Many other NAS systems have no display and when something goes wrong it's a black hole. Setup is fairly easy. First step is to install your hard drives. TheCus provides plenty of screws. Second step is the IP address. It defaults to 192.168.1.100. If that is not compatible with your network just unplug a PC or laptop from your network and plug the CAT 5e cable between the systems and manually IP your PC to 192.168.1.10 and then bring up your browser and navigate to the NAS drives IP address. The default password is always admin for TheCus. There are a lot of options in the web admin menus. I would recommend getting your network setup first for the default gateway and DNS servers. I would leave Jumbo Frame off. If the NIC can’t negotiate with your switch for Jumbo Frames you will lock yourself out of the NAS. Next step is making sure the NAS drive sees all of your hard drives (Storage menu – Disks). This can be tricky, the NAS uses the S.M.A.R.T Info to determine how healthy your drive is. If the log in the SMART info is filled with errors the NAS drive will flag the disk as bad or a warning. I had one perfectly working Seagate drive in Windows that just refused to work correctly due to errors in the SMART log. When I ran the Seatools the drive failed all diagnostics! I sent the drive back to Seagate for a free replacement. Next step is to determine your RAID type. That’s up to you. I use RAID 5. I fully tested the 4100Pro by pulling a good disk and the system ran very nicely with the missing disk. It also fully rebuilt the drive when I installed a replacement disk. Building your RAID set is very time consuming. Depending on the size of the drives used you should anticipate a day of lost time while the drive builds your RAID. Once the RAID set is done you can setup your file shares/folders and start using your NAS. I have been using the 4100Pro now for about two years. It’s rock solid. I actually own three of them now. I found the costs of 8-12 bay units is more expensive than these 4 bay drives. Shame on Apple. That’s right Shame on Apple. These silly games Apple plays is getting tiresome. I spent 12 ½ hours in line to get an iPhone 4 and said never ever again. 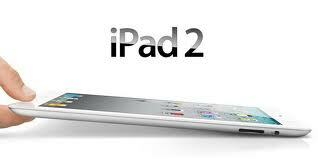 So when the iPad 2 came out I didn’t even attempt to get one on opening day. I did try the day after visiting two Best Buys and one Apple store. Of course no joy. But the most frustrating part is Apple has no online store inventory. How can a company as savvy and techy as Apple not have this basic feature? And then I noticed a trend, Best Buy and Target labeled it store pickup only, no online ordering. Then I see JR Music World has the same deal, store pickup only! This is classic Steve Jobs games. And then the icing on the cake, the phone. I tried calling two Apple stores, I did umpteen times and it’s ring, ring, ring - No answer! I’m fed up. I don’t want to play this game anymore. Apple wants your money and they make you work to spend it. And what’s up with the retailers like Best Buy, Target, Walmart, ATT and Verizon? They all got less than 10 per store? More games from our beloved Steve Jobs and company….. So then today I took the bait – hook , line and sinker. I saw the rumor mill on Macrumors.com that Apple is having a 2nd launch day and is opening their stores early on March 15th. Of course I tried calling Apple but you know the story. So in the car I went, arrived at the Menlo Park store at 9am and was told they have not received any additional iPads since launch day. They told me to call them! Yeah that works…..
Anti virus software has been a must now for many years if you own a Windows PC. In the past I used McAfee, Norton and a few other lesser known packages. The problem is yearly upgrade fees. I’m sick and tired of paying when I see so many free packages out there. A couple of years ago I switched to AVG and was happy. Lately AVG has become a little too pushy on their pop up advertising in their free version. AVG works fine but installing the free version can be tricky, they easily try and dupe you into installing a premium package that will expire in 30 days. Then you must go through the hassle of downgrading to the free version. Well after that trick I decided to try Microsoft’s Security Essentials. I like it! Yes I am actually happy with a Microsoft product for a change. It’s free, installs easily and it is very quiet. There are no annoying nagware screens to buy upgraded products. MSE has many options to exclude file names and directories and also has tunable actions when it does detect a problem. It’s 100% free and works with Windows XP, Vista or Windows 7 including 64 bit versions.